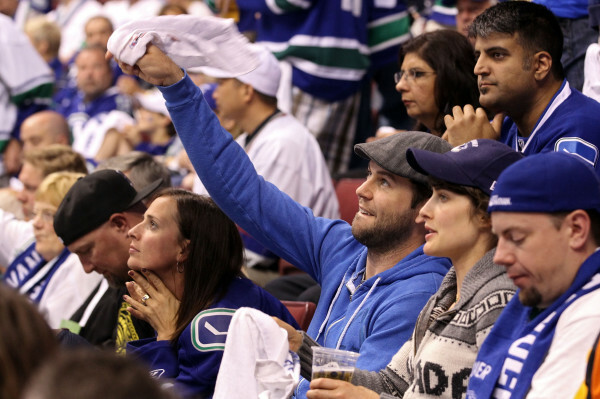 XOXO Jes - Canadian Entertainment News: Ummmm, Vancouver what gives? So the Canucks got served tonight in Boston. My husbands team rocked them good tonight 8-1....but I feel like that may have been a money grab. Cause a 4-0 series win doesn't get anyone any money. The photo above is How I Met Your Mother's Colbie Smulders at game 2 of the final series....ummm, maybe you need to get that huss out to more games, because clearly something went wrong tonight when you attempted to win game three.